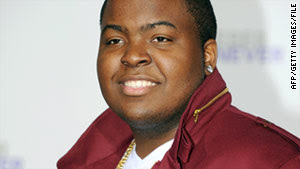 We have some good news for Sean Kingston fans! Sources close to the hip hop artist told the media that his injuries sustained from a Miami jet ski crash should be healed in six weeks, CNN reported Tuesday. Kingston, 21, suffered a broken jaw, fractured wrist and water in his lungs, according to the unnamed sources. An Epic Records publicist last reported Tuesday morning that Kingston was in "critical but stable" condition in an intensive care unit at a Miami hospital. Friend Cassandra Sanchez, 23, was riding on the Sea Doo jet ski with Kingston when it crashed into a Miami bridge Sunday night. Sanchez was also injured and hospitalized. Kingston's life vest reportedly fell off after the crash and he sank into the water, witnesses reported. If not for nearby boaters who pulled the two from the water, the situation would've been dire, and thankfully Kingston and Sanchez are alive. Keep your prayers coming!